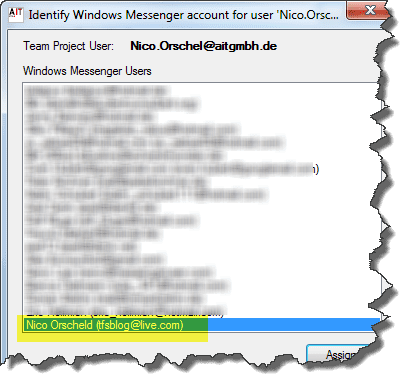 During the Christmas holidays Nico published a new version of the Skype provider, a modified Messenger provider with TFS 2010 Power Tools on Codeplex https://tfscollab.codeplex.com and a new Checkin Policy. 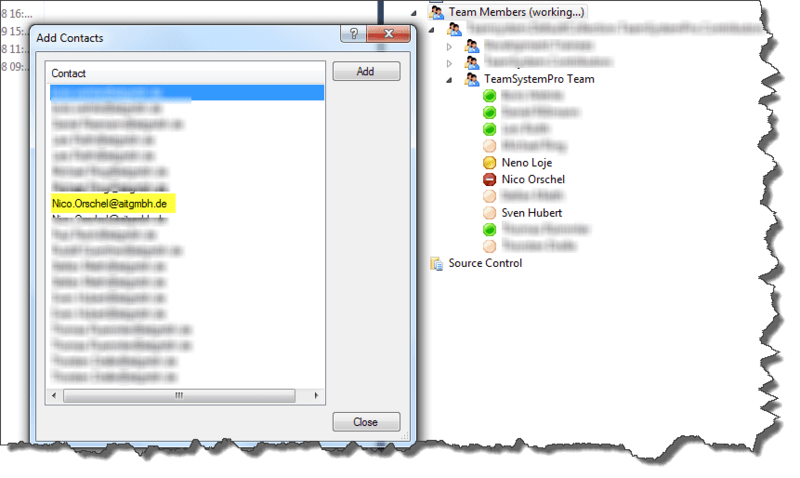 Nico explains the difference between original Messenger provider and his version to be the support for custom mappings. 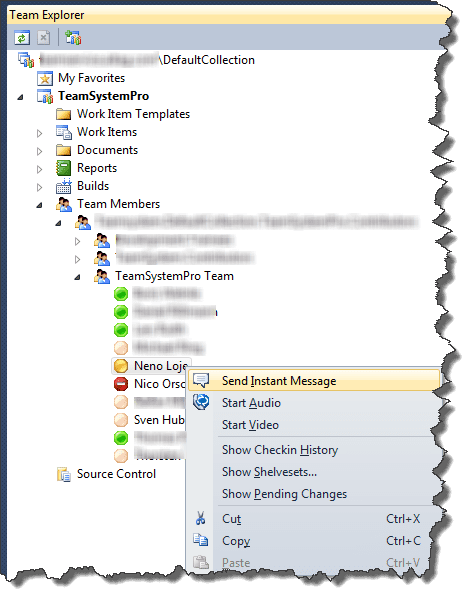 It’s now possible to map a corporate E-Mail-address (Active Directory) to a private (“messenger”) mail-address. The Skype provider is, as he says, self-explaining. The Check-In policy is designed for entering efforts and additional info into work items during check-in. 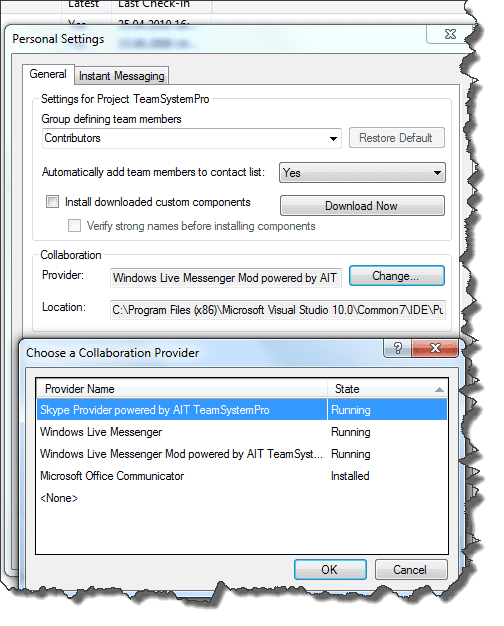 It was released as part of the AIT productivity Tools on the VS Gallery (http://visualstudiogallery.msdn.microsoft.com/d127b275-b7b6-4504-b01e-58b4a010ff53 ).